Posting it into "Let's see your harnesses" might be a tad too much, so I put it into off-topic. Perfect. Now you need to find a movie somewhere where you can be an extra in the background. Wow! You would have been great in Monty Python and the Holy Grail! Reminds me of something I made for a school project in grade 6! Well, I must confess, I lol'd, and lulz were had. Alright, it made me lol! Mission accomplished! After I had a good , I thought "humm, not a bad idea you have there". 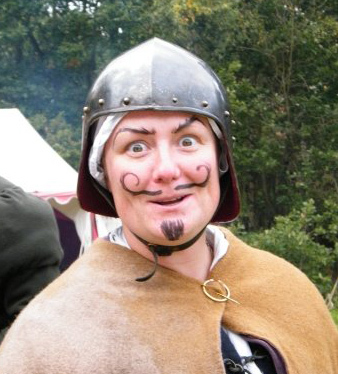 I'm thinking about the children in an area school who have a "medieval day". 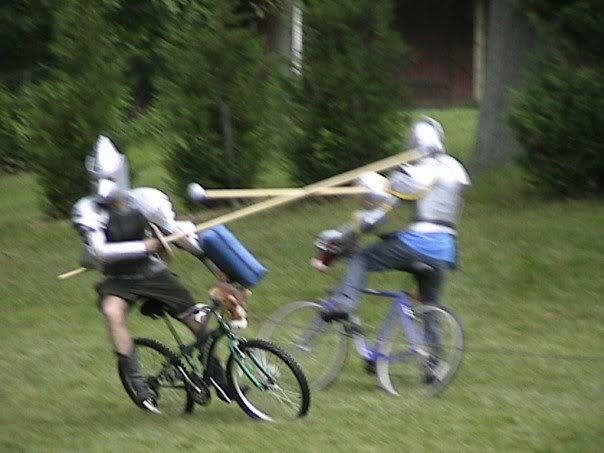 This would be a great little kit that they could make in class prior to medieval day. I'm really tempted to do something similar and see what the security here at work does when I show up. Actually, you know the sad thing (in a good way) is that what you made up out of aluminum foil, duct tape, and carboard looks a lot more authentic than some of the expensive stuff for sale. I mean this: the common foor slogger didn't get expensive gear. The clothing was all hand loomed, so it was course and scanty. Weapons were cheap and good enough for the guy holding it to give his life for his country (Dulce et decorum....). In fact, the more I think about it, if you had substituted equally apalling stuff that was authentic 13th C. manufacture, I'd think you had a pretty good kit! I show you Japanese traditional culture. Also we can make a Shuriken(Ninja weapon) with only an old newspaper! Shuriken is one of the weapons which the ninja uses. These are one of the Japanese famous "origami". I'm interested in Medieval Arms and Armor. 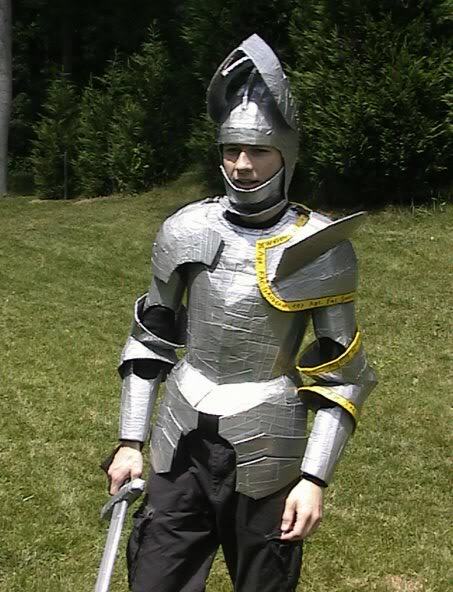 Funny thing is that the armor does not really look that bad - given it's cardboard and duct tape. Wow. I actually want that cardboard harness. Or maybe I'll make one for myself. 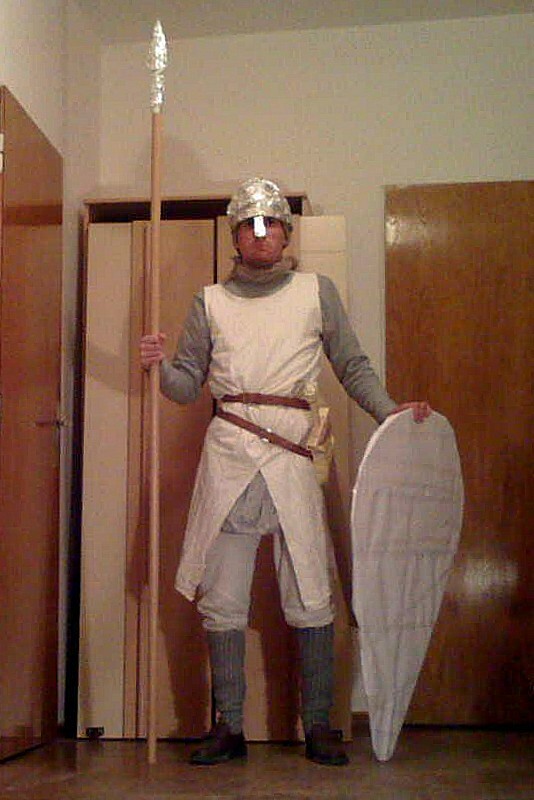 Cosplayers have been doing it for years with fantasy armours, and it might be nice to crash one of their events in such a cardboard . . . um . . . "historical" suit the way I've been doing with soft kits all this time. Ah, but you really want to be a Fench Kniggit, like me!